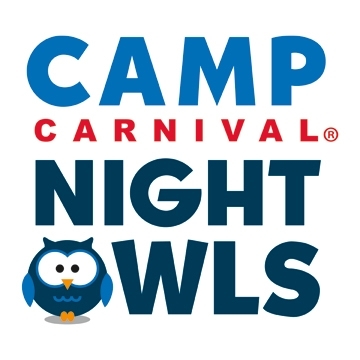 Camp Carnival Night Owls – featuring fun-filled children’s parties offering a full schedule of late-night activities and premium giveaways, along with nightly babysitting services – is being rolled out on all 23 Carnival Cruise Lines ships. Perfect for when parents want some much-needed “me” time, Night Owls further bolsters Carnival’s distinction as the leader in family cruising, with complimentary children’s programs for three age groups catering to the 670,000 children who sail with the line annually. 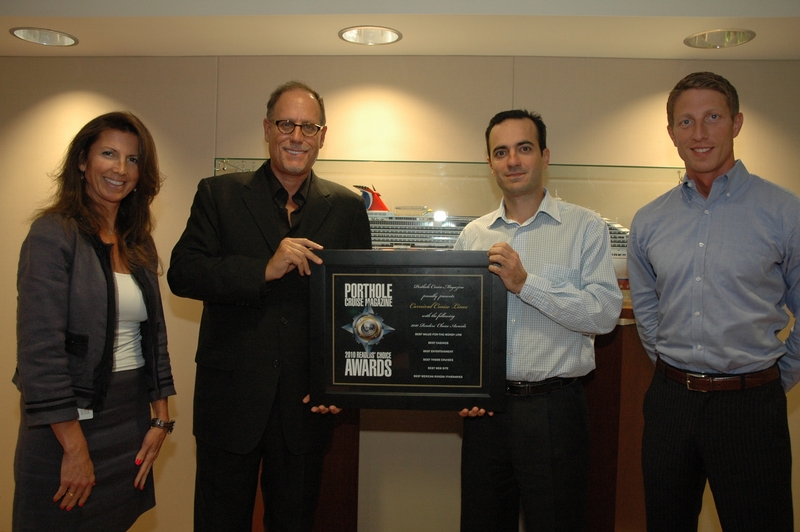 For the first time, Carnival Cruise Lines will operate an extended schedule of voyages from Boston with a series of round-trip four- and five-day eastern Canada cruises aboard the 2,974-passenger Carnival Glory beginning in June 2012. Carnival will be the only cruise line offering short cruises from Boston to the Canadian Maritimes. 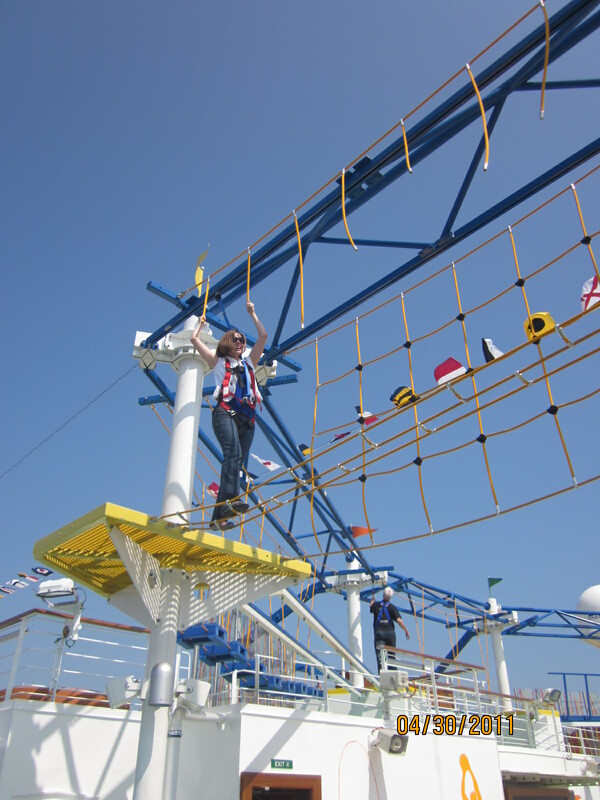 The ropes course on the new Carnival Magic has been a huge hit with guests of all ages, including the ship’s godmother Lindsey Wilkerson who is shown here testing out one of the SkyCourse tracks during the inaugural voyage from Venice, Italy, earlier this month. 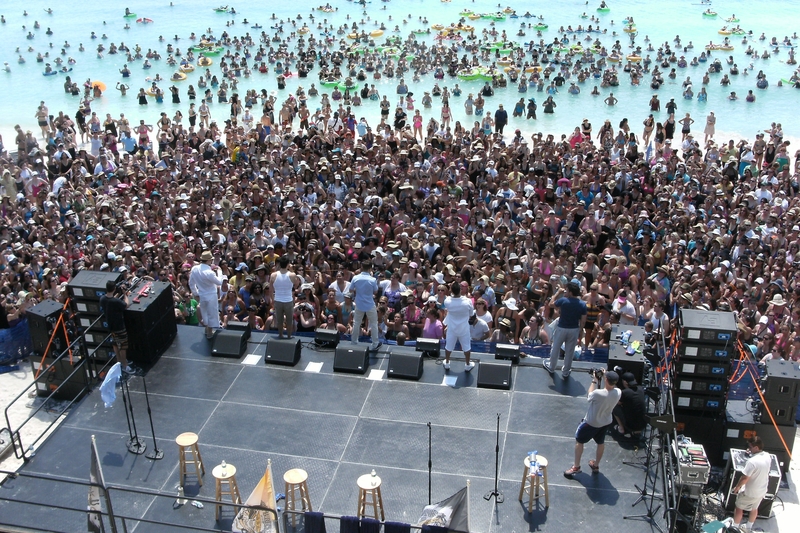 Pop music legends New Kids on the Block have played at venues all of the world but never on their own private island. After taking their show to Europe for the Carnival Magic’s inaugural cruise, Doug Parker and Matt Basford from Cruise Radio are back in Jacksonville, Fla., and continue to share their experiences on their most recent show. 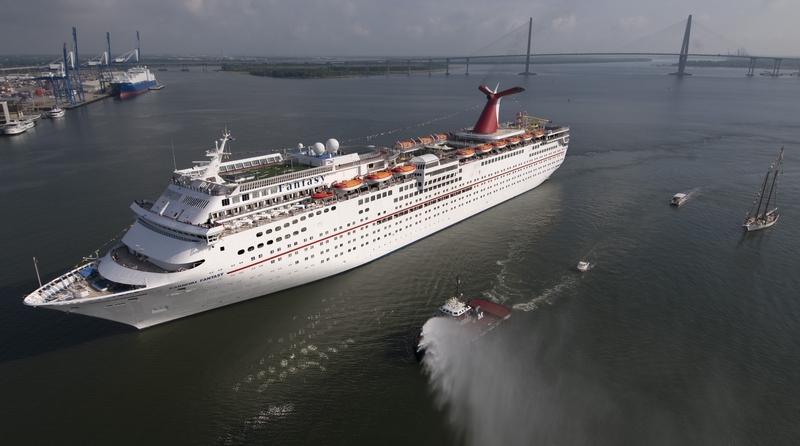 Today, May 18, marks the one-year anniversary of the launch of Charleston’s first year-round cruise program aboard the Carnival Fantasy. Rock legends KISS have partnered with Sixthman and Carnival Cruise Lines to create the ultimate fan experience – The KISS Kruise: Wet, Wild, & Rockin’. 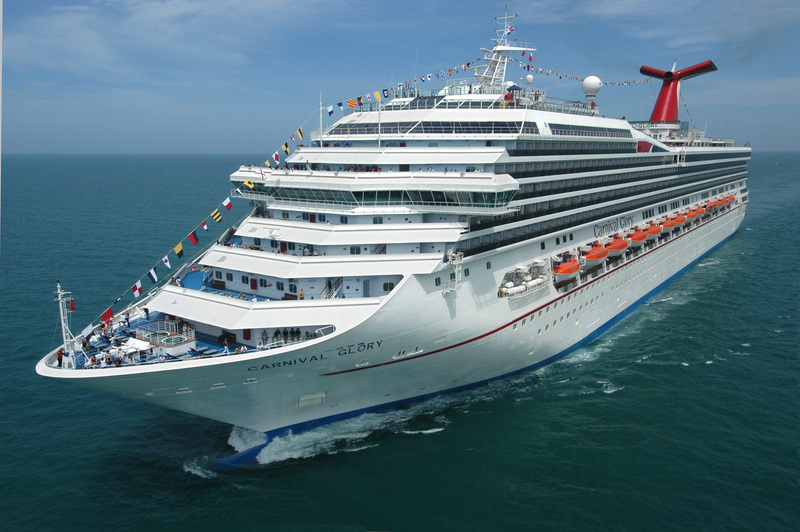 The KISS festival at sea will take place on Carnival Destiny from October 13 through 17, 2011. 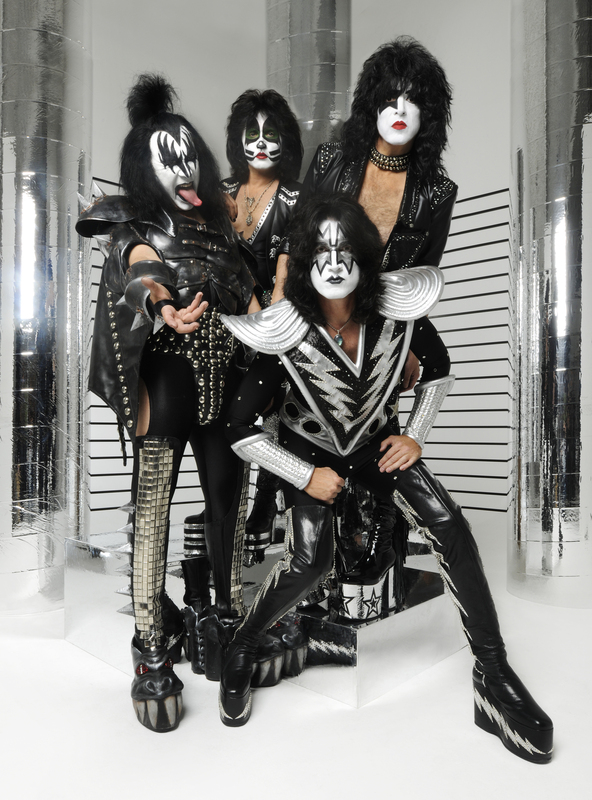 KISS and its fans will rock from Miami to the private Bahamian island of Half Moon Cay and Nassau, The Bahamas.